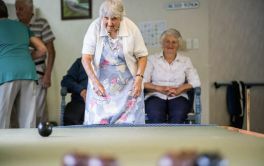 Redwood Retirement Village in Rotorua offers 2 bedroom retirement villas. × Have you visited this facility? Help others who are looking for a place by posting a review on Bupa REDWOOD RETIREMENT VILLAGE or review a different facility now. It's safe, secure and no outside work needed. Help at hand when needed for sick husband. 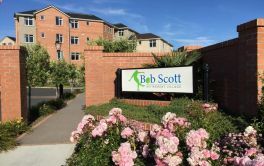 We have lived in the BUPA REDWOOD VILLAGE ROTORUA for seven years and in that time have enjoyed every experience, facility, benefit and the high quality and size of the units that BUPA provide as a normal feature. On visiting other friends in competitive villages we have learnt that what we have as a norm they have had to purchase personally or have had to negotiate for. Our village manager always goes the extra mile to assist villagers. She is very professional and helpful and always keeps us in the picture as to future developments and accepts all suggestions. Friendly, helpful, obliging. Hospital care. Staff on call. Available transport (free). Catering available.